We are offering GC-2595 Two Stage Air Compressor. Incepted in the year 1998, we Gajjar Compressors Pvt. 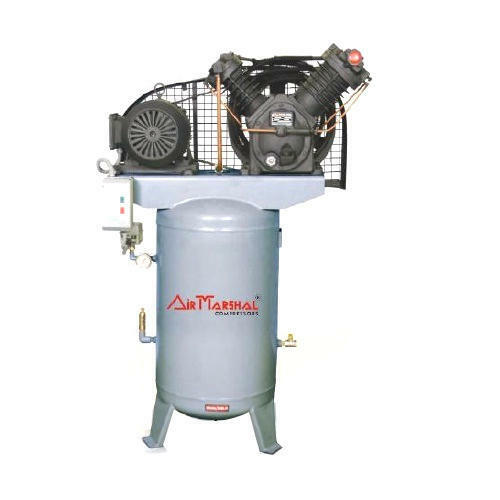 Ltd. marked our presence in the market as one of the leading manufacturer and exporter of this commendable range of Air Compressor, Screw Air Compressor, Oil Free Dental Compressor, Single and Two Stage Dry Vacuum Pump, Air Dryer, Air Receiver Tank etc. Manufacturing of this range is done as per the set industry norms and guidelines, utilizing the finest raw materials and modern machines, in compliance with the set industry norms and guidelines. This ensures the product’s performance, service life, capacity, and strength. To attain smoother and effective management of the firm’s predefined operations, the infrastructural facility at Gajjar Compressors Pvt. Ltd. has been parted into several highly operational units. The facility equipped with all the necessary machinery and equipment helps us in the attainment of several of the firm’s predefined goals and targets. To attain a better position in the market and to maximize our production capacity, the facility is regularly upgraded. Further, our highly ethical working habits and client-centric approach has helped us in generating a huge client base.